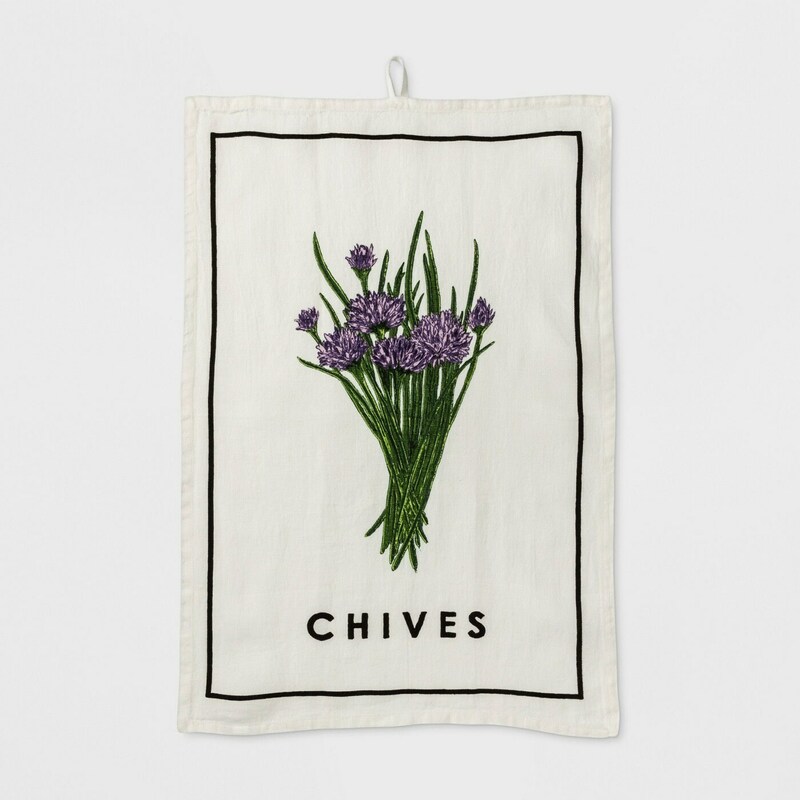 Bring the herb garden right into your home with this Chive Print Kitchen Towel. A vibrant design on lightweight linen fabric adds country charm to your kitchen for a whimsical look. A loop closure at the top makes it easy to hang on a wall for visual interest.